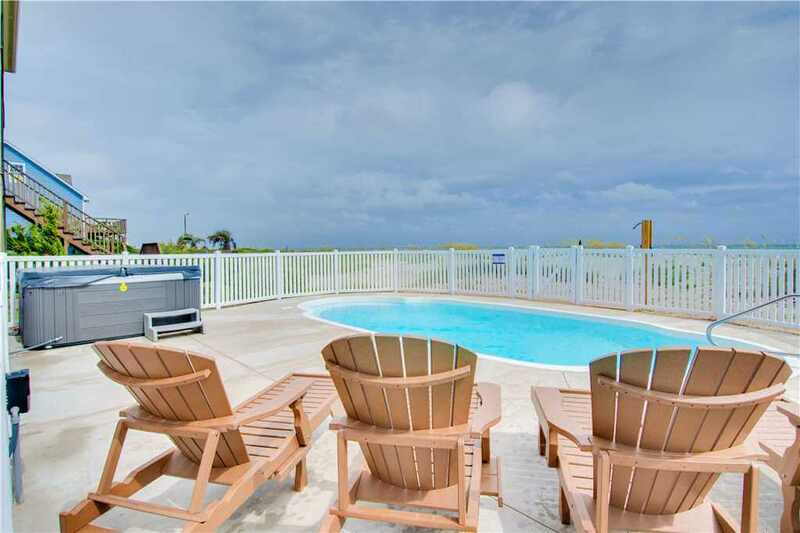 Aside from their luxurious amenities and prime locations, oceanfront properties in Emerald Isle are known for their exclusive waterfront views of the Crystal Coast. 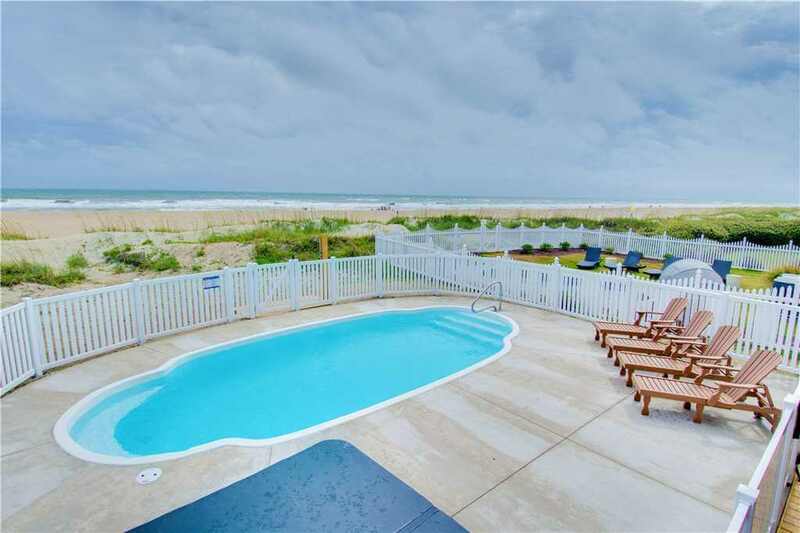 This week’s featured property, aptly named Blue Waters, is a custom-built oceanfront home located in Atlantic Beach and has three bedrooms and three and a half bathrooms. Blue Waters and its amazing views are available year-round for weekly rentals during the season and monthly rentals during the offseason. Click here to check the availability of this oceanfront property and here to see more photos. 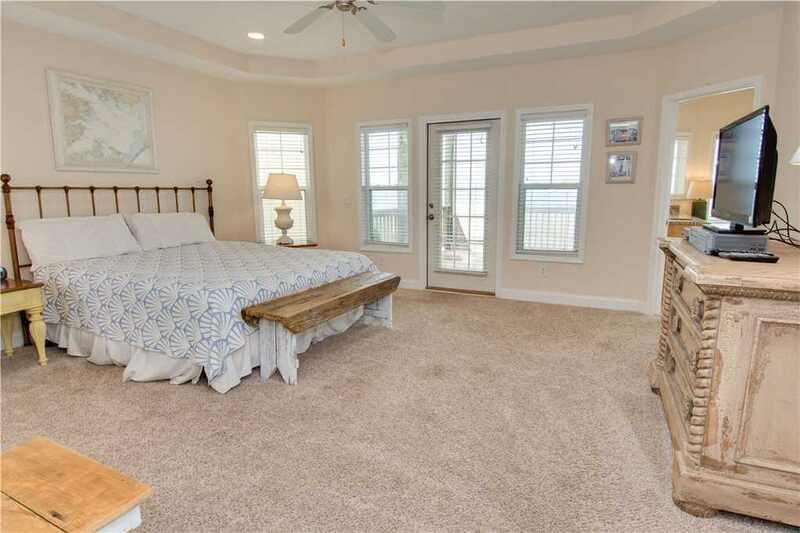 This property has eight beds (two kings, one queen, a bunk bed with a full and twin-size bed, two daybeds and a twin size bed) and is spacious enough for your family spring break vacation or friend’s reunion. Blue Waters has two master bedroom suites with king-size beds; one of the suites has an oceanfront view and a Jacuzzi tub in the large, spa-like bathroom. 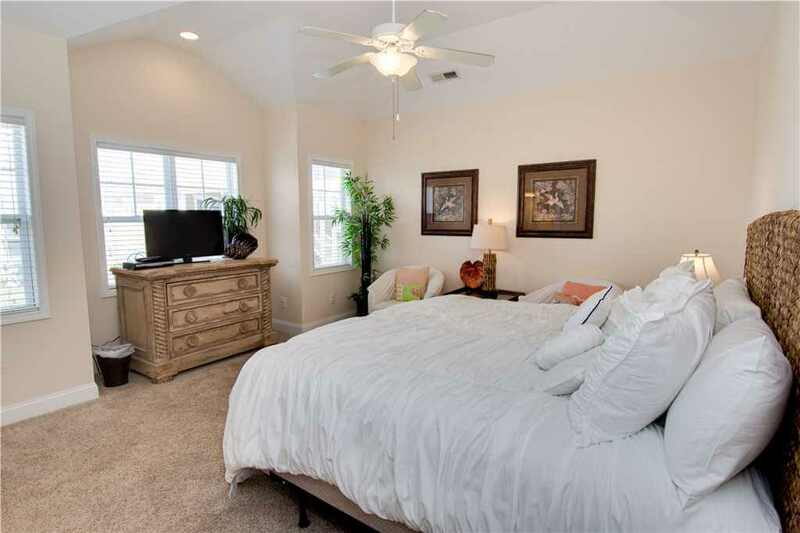 The other suite has a seating area and tall vaulted ceilings. Both put you in a place of luxury and relaxation. Other bedrooms are decorated in muted and tranquil colors and either features plenty of natural light or access to Blue Waters’ second or third-floor decks. In a reverse floor plan pointed towards the water, the living room, dining room, and gourmet kitchen flow into one another with high ceilings and hardwood floors. The living room has access to the deck and a sectional couch around a mounted flat screen television. Speaking of televisions, there are six flat-screens throughout the house with cable provided. And you and your guests will be able to stay connected and save your mobile data with free wireless Internet during your stay. 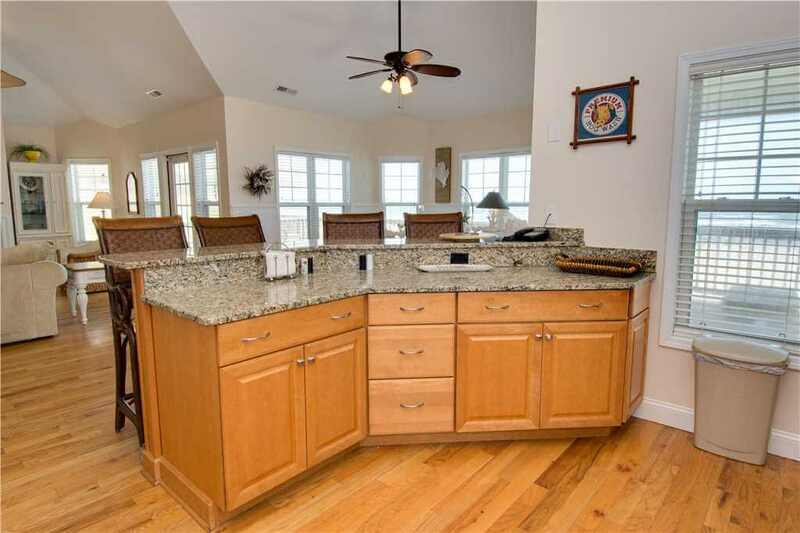 The kitchen features stainless steel appliances and spacious granite countertops. 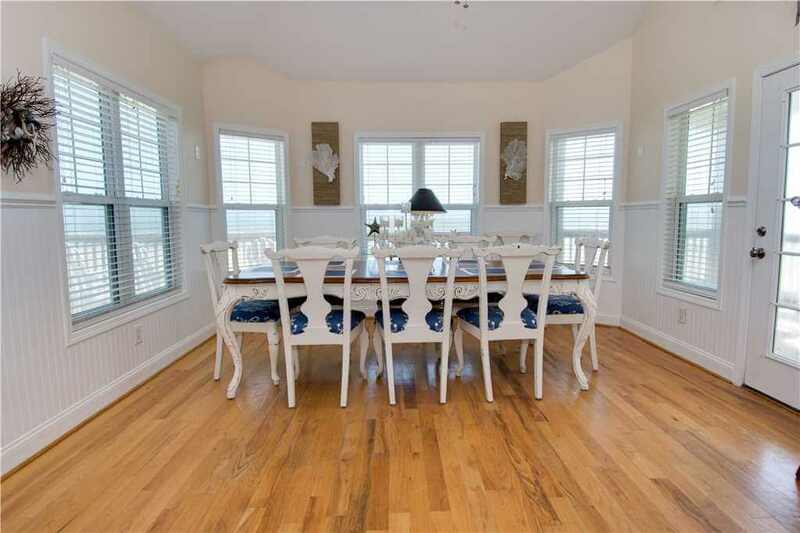 A breakfast bar seats four in the kitchen and makes for a great space to gather over drinks or a quick bite to eat before heading to the beach. Eight of your guests can sit comfortably in the dining room and keep the conversation going by not feeling cut off or isolated from the living room or kitchen. 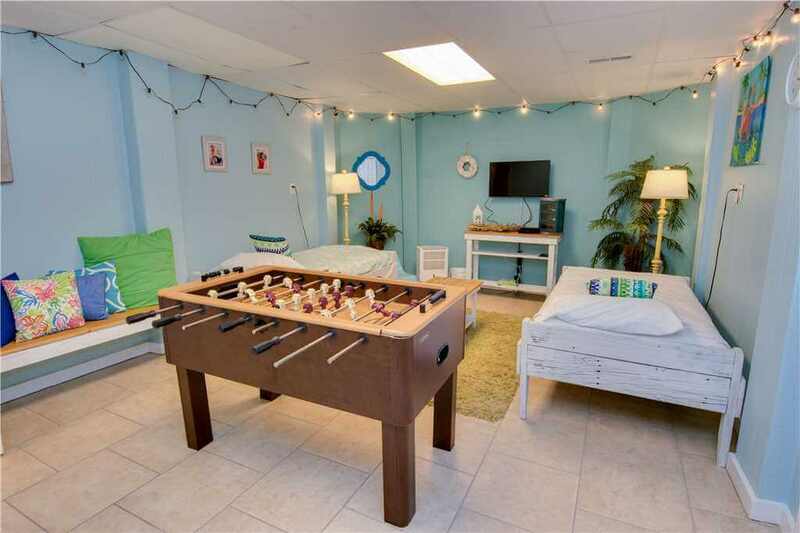 On the first floor of Blue Waters, there’s a game room great for younger guests, or those with a penchant for gaming, complete with a foosball table and two daybeds. Other great amenities this rental includes are a washing machine/dryer, elevator access between all three floors, a park style grill outside for barbecuing and Sand Castle Club linen service, with beds made upon arrival! The decks at Blue Waters are large, spanning the properties three floors. There also is plenty of lounging furniture to kick back and relax on while you take in the sun and the endless ocean views. Off of the ground floor game room, is the properties crown jewel! Here lies the 14’X30’ private pool that overlooks the beach. When you’re done having fun in the sand, head here to wind down, or better yet enjoy the private hot tub if you’re looking for a warmer option. And rest easy knowing you won’t have to cart beach toys, chairs, umbrellas and other beach-friendly items far, with beach access literally right outside the back door. 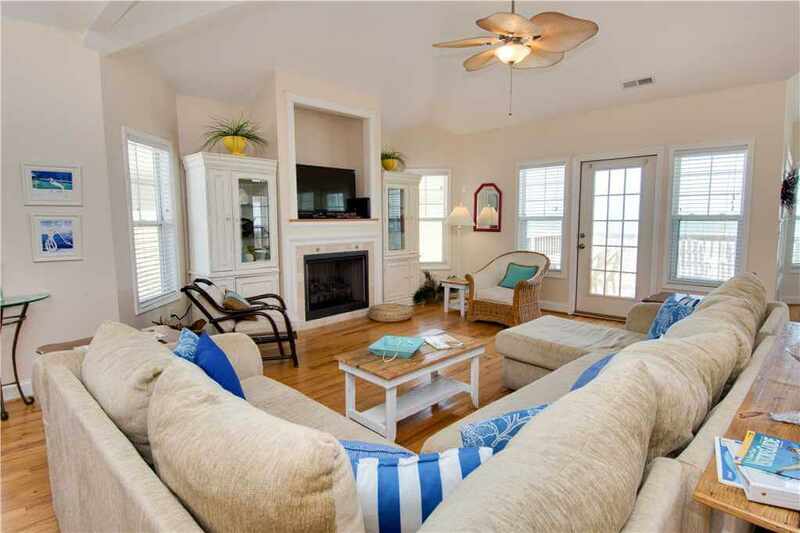 Atlantic Beach is one of the many charming and historic communities on the Crystal Coast and Outer Banks. The community is still close to Emerald Isle’s famed shopping and restaurants but is close to more attractions to satisfy the tourist in you like Fort Macon State Park and the Queen Anne’s Revenge site, notorious pirate Blackbeard’s faithful ship before his retirement.  There are also plenty of fishing charters that operate out of or near Atlantic Beach like MAGIC Sportfishing and the Captain Stacy Fishing Center. 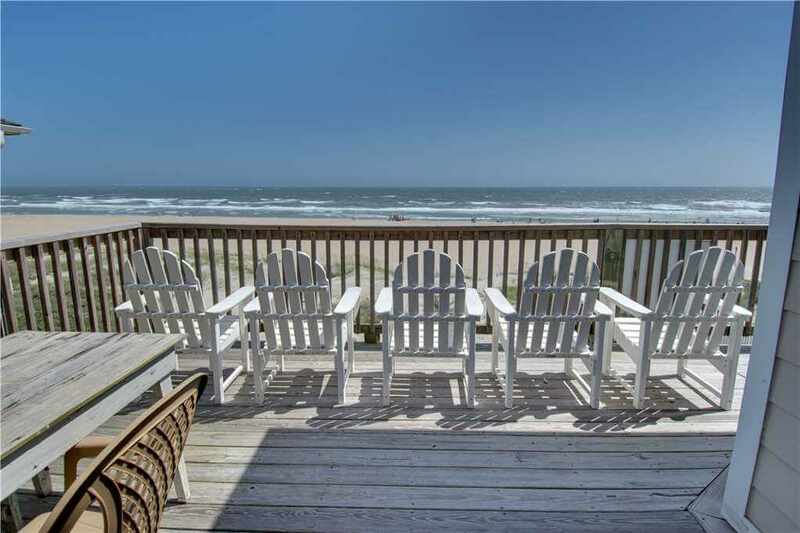 Oceanfront properties don’t get any better in Atlantic Beach and this week’s featured property, Blue Waters, is a stunner with plenty of space and exclusive beach access. If you’re planning a spring vacation, look here and book a vacation to remember for years to come. 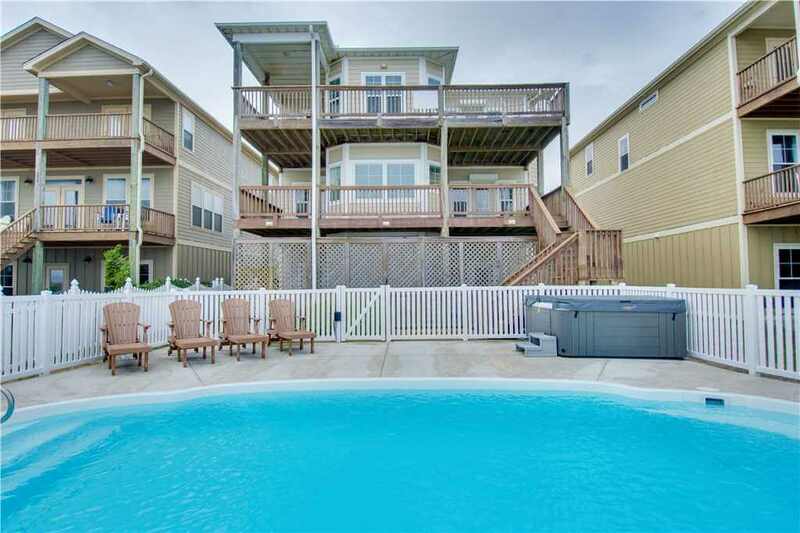 Check out its availability here and other rentals available in Atlantic Beach here!